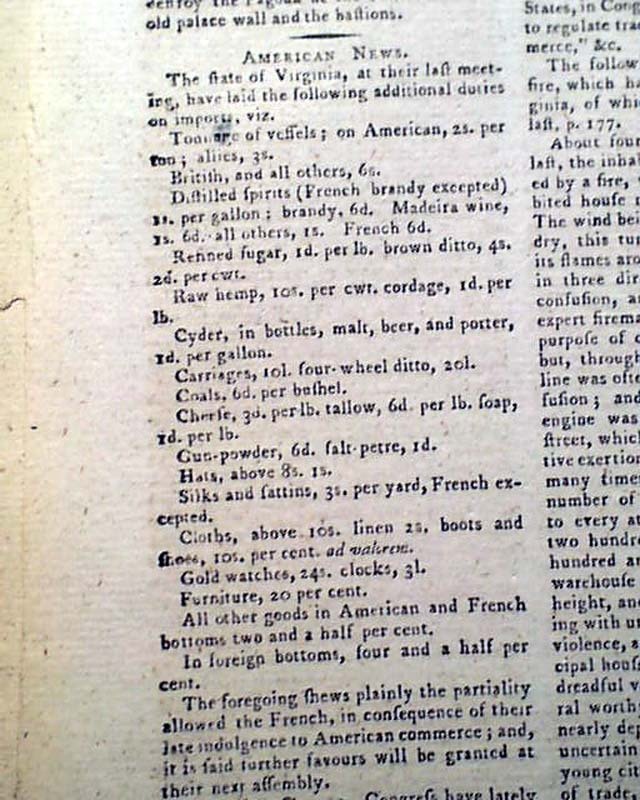 Included near the back is nearly a full page of: "American News", beginning with mention that Virginia has created duties on imports, with details. 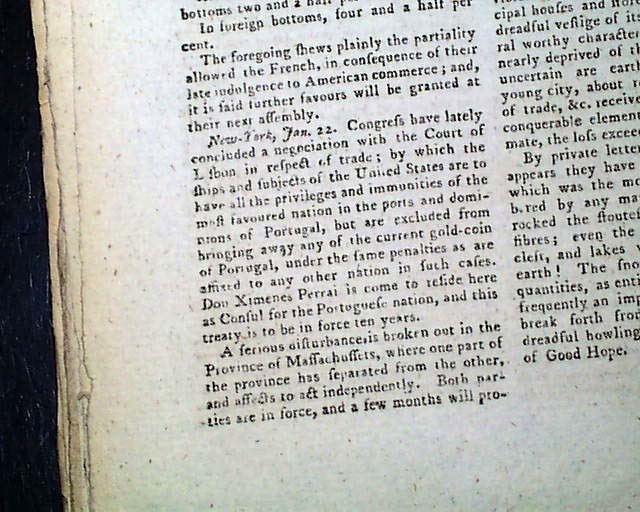 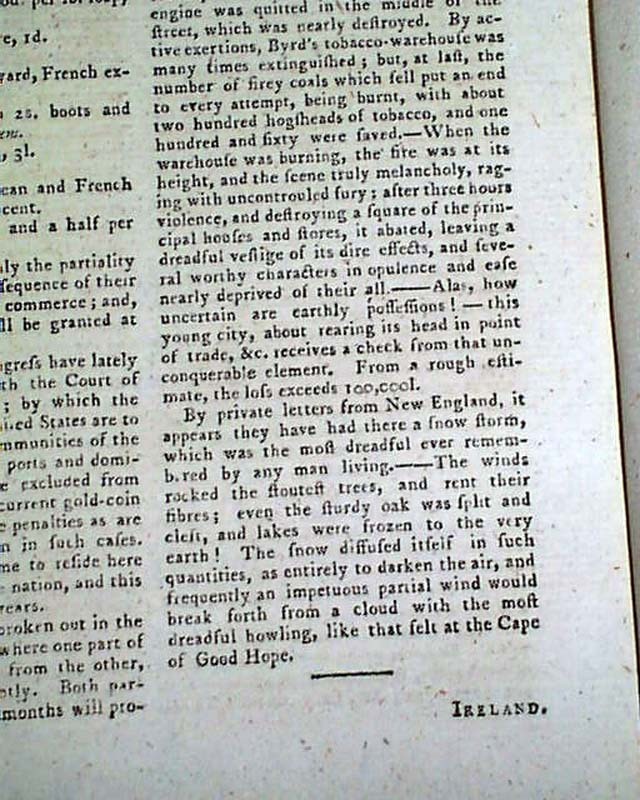 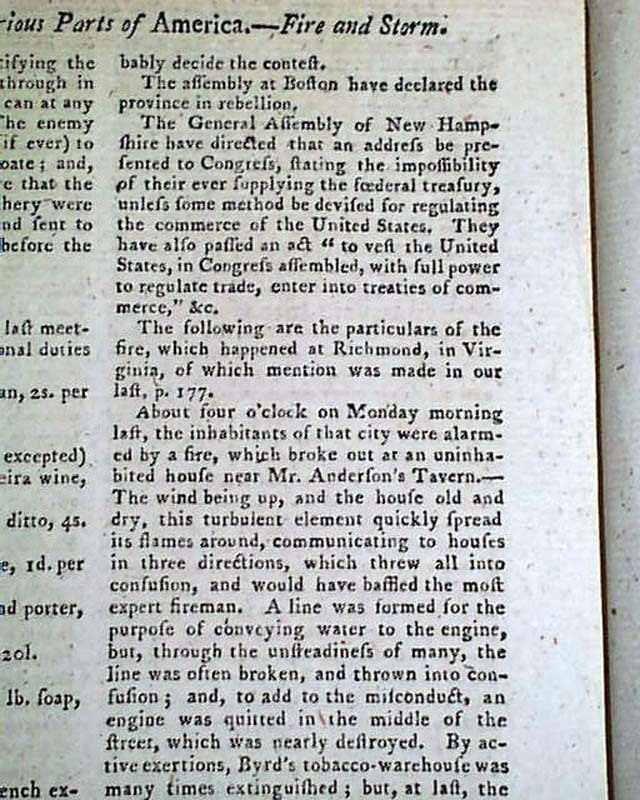 From New York is mention that: "Congress have lately concluded a negociation with the Court of Lisbon in respect of trade..." with some details. 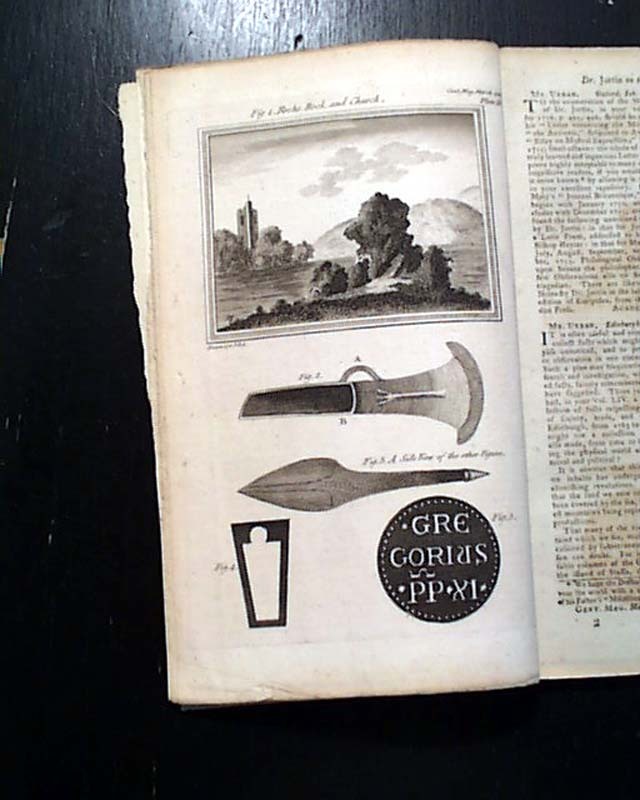 A few other items (see). 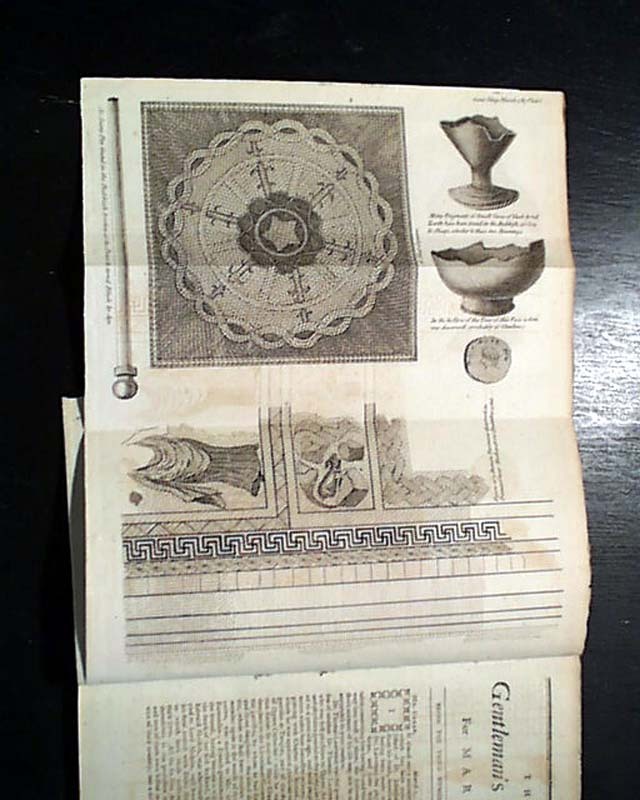 Included are both plates called for, one of which is a foldout. 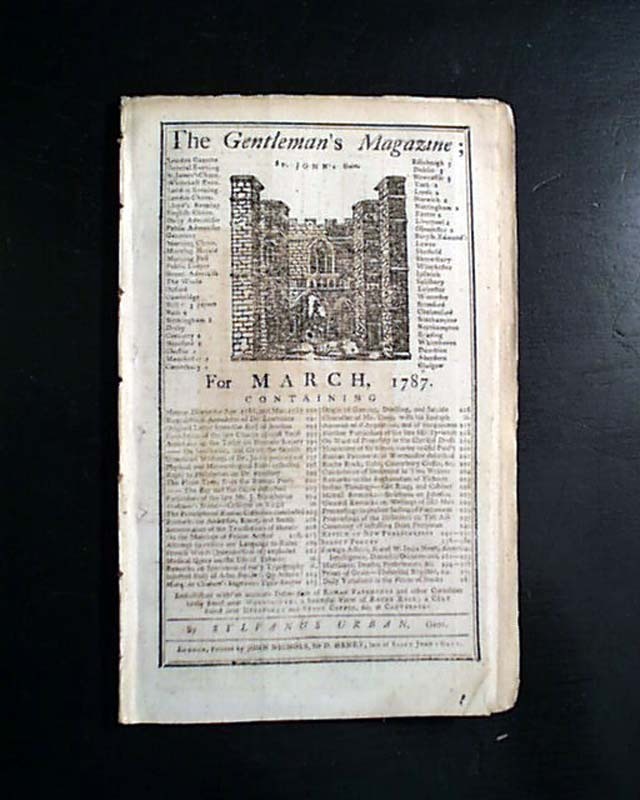 Complete in 92 pages, 5 1/2 by 9 inches, never-trimmed margins, full title/contents page with an engraving of St. John's Gate, very nice condition.